This is another one of our summer grilling favorites. 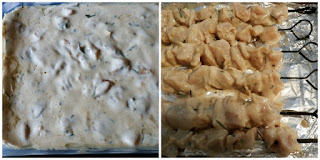 Our daughter Jamie found this grilled rosemary chicken recipe and has been making this for a couple of years now. 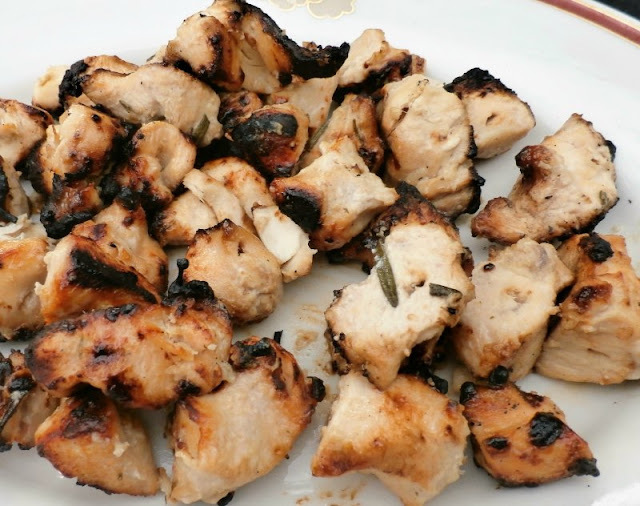 The chicken breasts are cut into about 1” cubes and marinated overnight. Of course, Jamie did all of the work all I had to do was Skewer the chicken and grill it to perfection. I had my Huntington Gas Grill set on the medium setting, and grilled the chicken for about 10 minutes turning the skewers frequently. It turned out to be juicy and packed full of flavor, as this recipe always is. If you’re going to have guests over for a cookout, you’ll for sure impress them with this recipe. 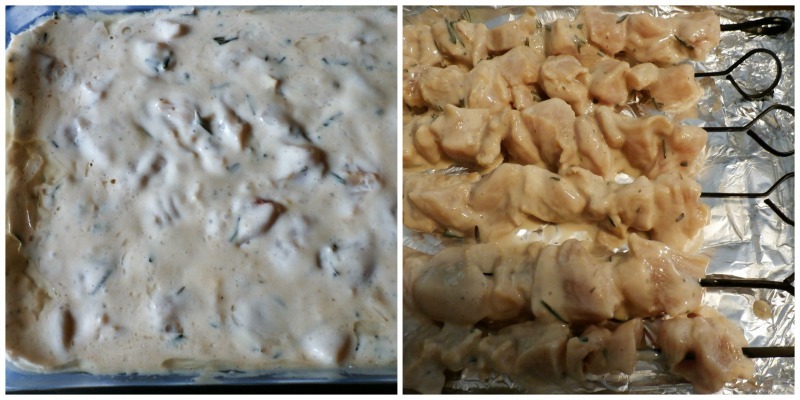 This Rosemary Ranch Chicken will disappear very quickly, and your guests will be asking for the recipe. 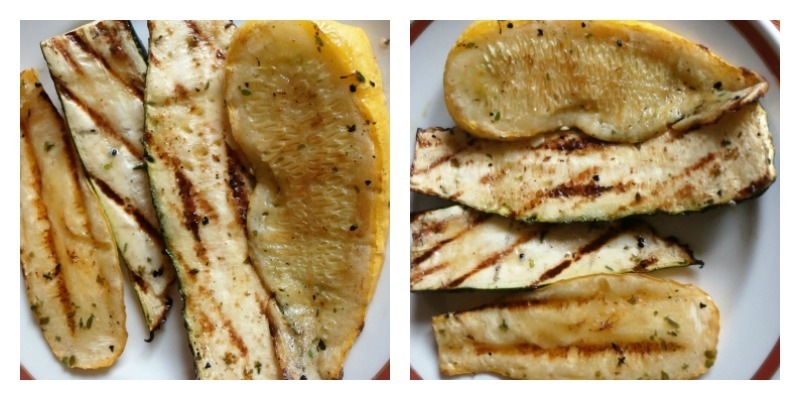 I can honestly say this is a must add to your summer grilling list. I was bound and determined to make this grilled lamb leg recipe as part of our 4th of July weekend this year. We grew up in Western Pennsylvania where lamb on the rod is very popular, but that is not the case here in Western New York. 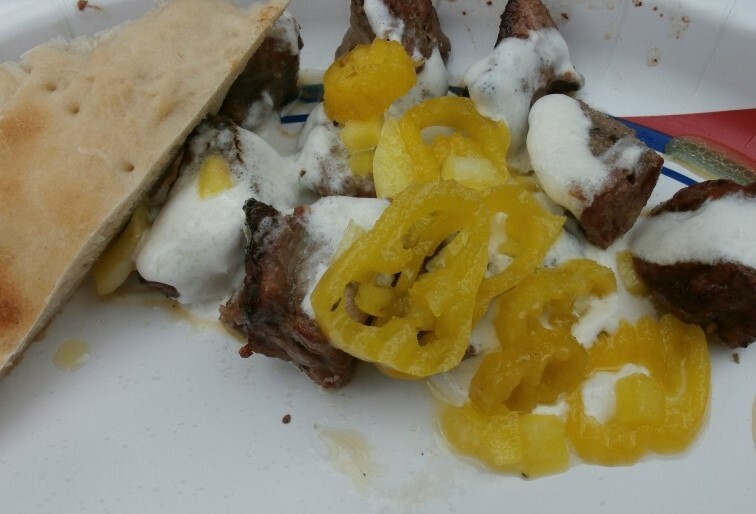 Lamb on the rod is the leg of the lamb cubed up and grilled on skewers, and best served with Syrian Bread, garlic sauce, and a peppers and onion sauce. All of which I will tell you how we made. My daughter picked up two boneless 3-pound legs of lamb packages at Sam’s Club and asked the butcher to cube it up for grilling on skewers. You can do this yourself just trim the fat and cut into nice 1 inch pieces. 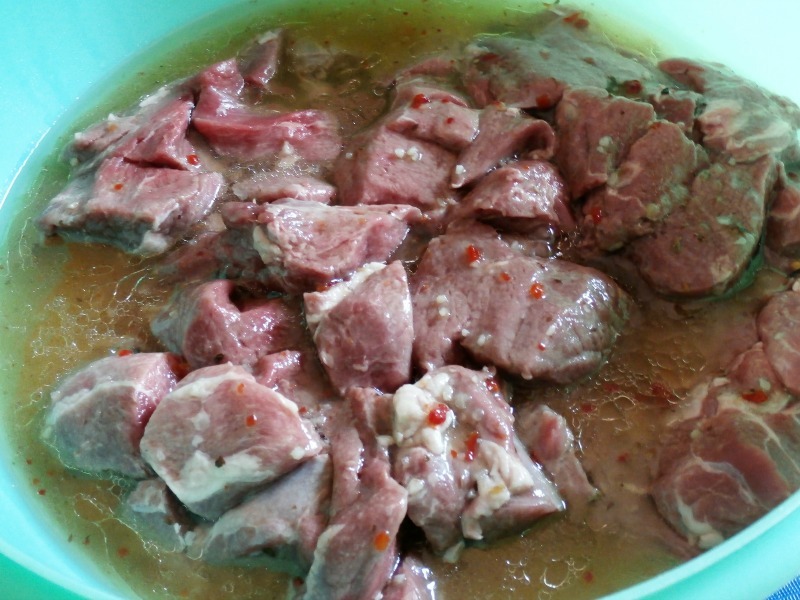 I marinated the lamb in Italian salad dressing and placed it in the refrigerator over night. We also made the garlic sauce and peppers and onion sauce the day before. Add all these ingredients into a blender or your food processor, we used our NutriBullet to do this, and mix until it is liquid, then refrigerate it overnight. 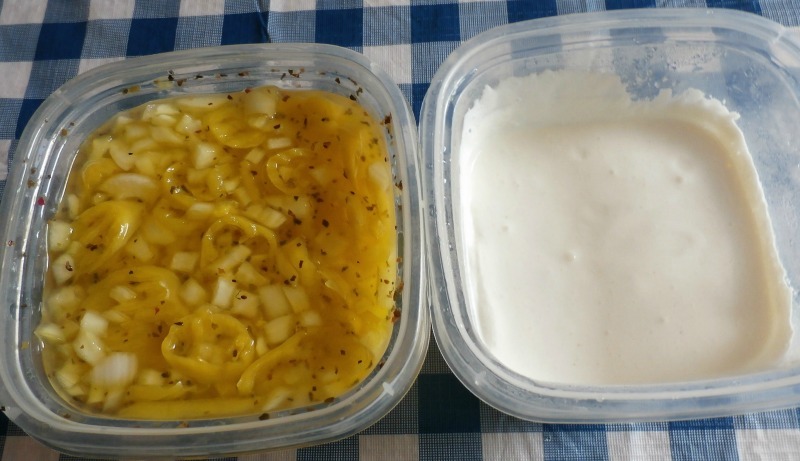 Mix in a large bowl and refrigerate overnight. Time to cook the lamb, I skewered the lamb and seasoned it with salt, pepper and garlic powder. 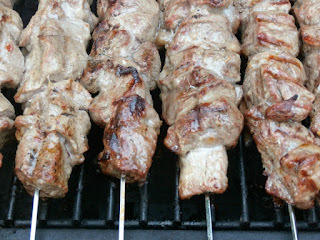 I set the grill on the medium setting and grilled it for about 12 to 15 minutes turning the skewers frequently. I also switched the skewers around to avoid hot spots on the grill. 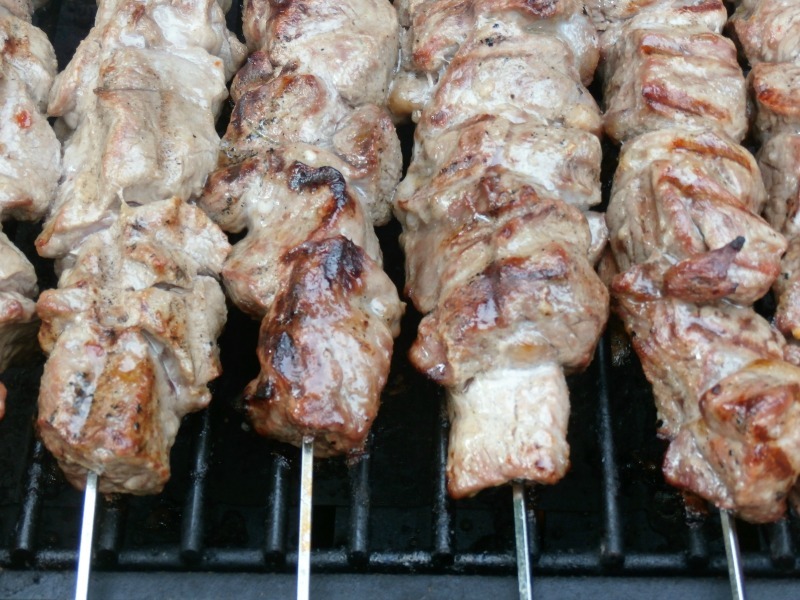 Now off of the skewers and onto a plate, I used a two-prong fork to push the lamb off of the skewers. You can have the two sauces on the side or I like to spoon both sauces over my lamb, add a slice of the Syrian Bread for dipping and enjoy. Click here to get the recipe for the Syrian Bread. 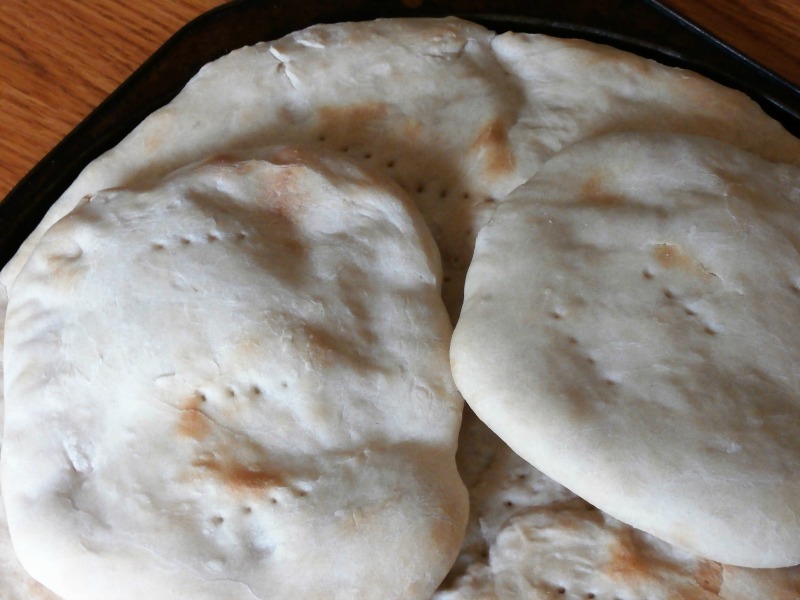 This bread is a great flat bread to serve with lunch or dinner. We serve this bread with a wonderful dish called Lamb on the Rod. Where I grew up you can buy this bread in any grocery store, but not here in Western New York. Since we were having lamb on the rod I decided to make my own fresh. I modified it just a bit by using less yeast, I also doubled the recipe, which would have called for 3 teaspoons of yeast I used one package of dry yeast or 2-1/4 teaspoons. Sue’s recipe mixes the dough in a bread machine, but I used my KitchenAid Stand Mixer. 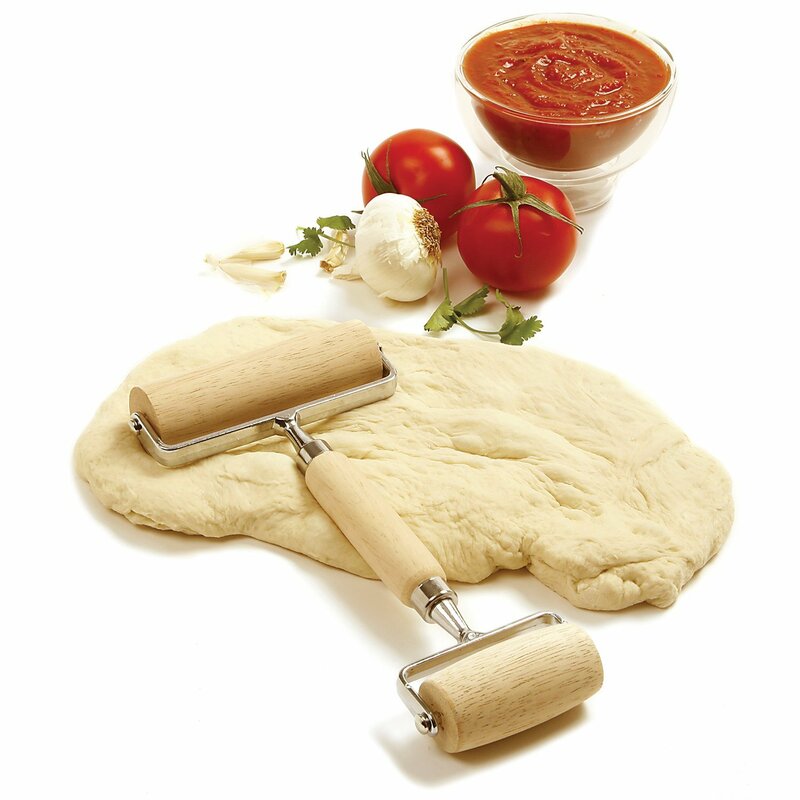 By doubling the recipe, I yielded one nice 12-inch flat bread and four small about 8 inches round flat breads. It came out perfect and was a delightful add to our grilled lamb on the rod, so thank you. Sue Litster.